Can you qualify for Washington State bankruptcy protection and relief? Bankruptcy relief is available to any person or business in the United States. You do not have to be a citizen or even have permanent resident status. You must file your case in the federal court district where you have resided for the past three months. A business can file a Chapter 7 but will not get a discharge because they business is gone after the case anyway. People who guaranteed business debt may want to file a personal bankruptcy. Businesses can not file a Chapter 13 but must file a Chapter 11. 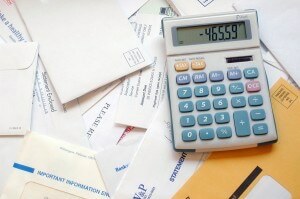 Married couples can file a bankruptcy. Otherwise only individuals can file bankruptcy. There are time limits imposed on how often someone can file. You can only file one Chapter 7 and receive a discharge every 8 years. If you filed a Chapter 7 and received a discharge in the past four years, you can file a Chapter 13 and receive a discharge. If you filed a Chapter 7 more recently, you can file a Chapter 13 to seek protection from your creditors and restructure but you won’t get a discharge for any debt not paid in the plan. If you file a Chapter 7 you must go through a means test to show you are not abusing the bankruptcy system. If you make under the median income, you do not actually have to complete the means test. In Washington, the median income as of May 1, 2013 is $52,724 for a household of one, $65,123 for a household of two, $71,123 for a household of three, $83,270 for a household of four. Add $7500 for every household member after that. The means test deducts certain expenses set by the IRS code, such as food, clothes, rent and transportation, and other actual expenses such as taxes, child care, health insurance and car and mortgage payments. If there is income left over, it is presumed you are abusing the bankruptcy system by filing a Chapter 7. You can rebut this presumption by claiming special circumstances. Some special circumstances include higher necessary expenses, a drop in income that is likely to continue, additional household members or a large spike in income in the last six months that is unlikely to be repeated. It is easier to “qualify” for a Chapter 13. The question is whether a Chapter 13 is right for you. Most people would prefer to stick with a Chapter 7 and get out of bankruptcy in only three months rather than go through a three to five year plan. However, Chapter 13 can repay mortgages, consolidate all debt into one payment and protect property that could be lost in a Chapter 7. You have to be able to afford the Chapter 13 plan. There are also debt limits to a Chapter 13, which change from time to time but are approximately $1,000,000 in secured debt and $350,000 in unsecured debt. If you cannot file a Chapter 7 for some reason and your debt is over the Chapter 13 debt limit, you may be forced to file a complicated and expensive Chapter 11 bankruptcy. Fill out our online form or call (844) 925-2943 to speak with one of our Washington state bankruptcy lawyers today for help, information and answers. We offer a free case evaluation.